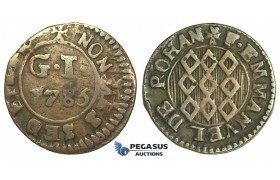 AD281, Malta, Jean-Paul Lascaris, 4 Tari 1648, Silver (10.32g) RS 21, Toned XF ..
AD282, Malta, Emmanuel de Rohan, Æ 4 Tari ND, 6 countermarks on worn Maltese host coin, Double..
J52, Malta, Emanuel de Rohan, Grano 1785, Nice! 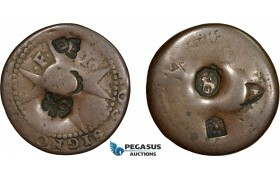 J52, Malta, Emanuel de Rohan, Grano 1785, Nice! 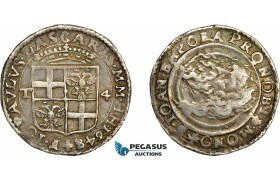 ..
P25, Malta, Emmanuel Pinto, 15 Tari 1757, Silver, Very Nice! 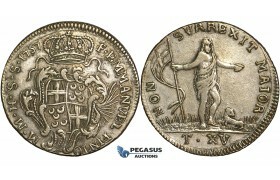 P25, Malta, Emmanuel Pinto, 15 Tari 1757, Silver, Very Nice! 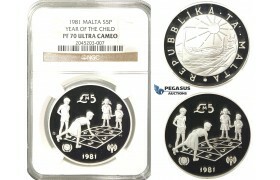 ..
R223, Malta, 5 Pounds 1981 (Year of the Child) Silver, NGC PF70UC (Pop 1/1, Finest) ..